Today we celebrate and honor the legacy of the hard work and the dreams of Martin Luther King Jr. as we work together to treat everyone as equal and with respect. That’s what makes a great community. This week is another full speed ahead week with cool music workshops and amazing funny comedy at the Gallo Center with Modestan, MAMA Winner and national comedy star Marcella Arguello at the Gallo Center. Don’t miss this. This weekend, we celebrate local business at the Modesto Chamber of Commerce Annual Awards Gala. You can get tix at the Chamber. Join the ModestoView & Things To Do! group on Facebook and share your events and find out what else is going on around town. Beginning the New Year is a great time to openly embrace new ideas and experiences. Ms. M finds herself finally coming to a stop on a sunny winter afternoon and realizes how quickly the new year is upon us. Since the days and years move by so quickly try making 2019 something to remember. print run of 56,000 copies, 36,000 home delivered and over 800 dropoff locations in Stanislaus County. 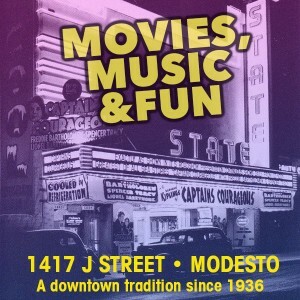 If you are interested in advertising email advertising@modestoview.com for our rate card. Thanks for reading, Middagh Goodwin, ModestoView Senior Editor. You have received this message as you have interacted with us on one of our many community projects, super fun events like Art Walk, the Modesto Area Music Awards, Rockin’ Holiday, May the 4th, or Graffiti Summer. We hope you like these informative tips, but if you don’t please click here to remove your email from our list. Copyright ©2017 ModestoView.com, All rights reserved.